30% off all Fleetwood leftovers!! Class A w/ Bunks! Unbelievable Price , Quality and Awesome new floorplan!!! 2018 LEFTOVER PRICE JUST REDUCED! Just Reduced! Leftover Must Go! Rear Bath - outdoor kitchen - Great couples trailer! The pride of Flagg RV stems from the fact of being a Family owned and operated business dominating the RV industry for over 30 years. 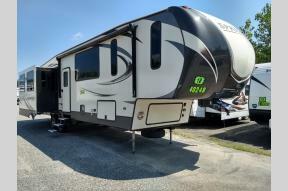 The Flagg family has had the opportunity to serve the community and expand its dealership to becoming one of the premier RV sales and service providers in the states of New York, Massachusetts, Rhode Island, Connecticut, New Hampshire, Vermont and Maine. Having a valued inventory of close to 15 million in new and pre-owned inventory, this provides the opportunity to Flagg to be able to sell our product at an affordable discounted price. Visit either of our locations, and you will find many of the Top Manufacturers in the Industry. As an experienced leader in the RV Industry, Flagg RVs purchasing power allows for one-of-a-kind pricing for our customers through the practice of buying in volume. This is just one of the many aspects of the Flagg family business philosophy that separates us from the competition. Nowhere will customers find a staff more dedicated to these basic principles than at Flagg RV. We're proud to speak of the 91% repeat business rate average over the last 10 years. Just ask one of our past satisfied buyers. Customers feel comfortable as soon as they step on the property because of the friendly, family atmosphere whether they're looking to buy or need service done on their unit. The Flagg family strives to ensure that all of our customers leave happy and we know we cannot do that without building a relationship of honesty and integrity as a dealership. The Flagg work ethic, patience with customers, and commitment to great service is what has built the trust and respect for Flagg RV. 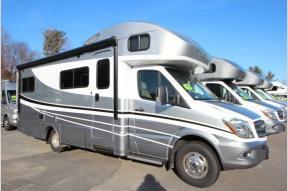 For what's best for your family in RVing come see our family you'll be glad you did.